From the assemblage of 20-year-old, jean jacket, indoor toque-wearing youth to the speckled arrangement of moms and dads reliving their glory days, the worn walls of the Rickshaw Theatre held all ages of garage punk-rock enthusiasts alike. Known for its grunge-infested shows, bands, and attendees, the Rickshaw appropriately had PBR and Cariboo on special and a long hair ratio between sexes that was aptly equal. 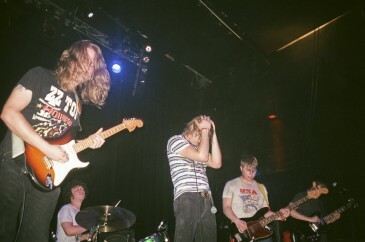 Like all concerts with two opening bands, the Rickshaw remained somewhat uninhabited until halfway through the set of Minneapolis’ trio, the Blind Shake. Despite a small crowd, they functioned as a perfect primer to an evening chronologically depicting the evolution of punk-rock, sounding much like punk-rock founders, the Ramones. With matching shiny, shaved heads, black-collared shirts, and a strong commitment to remaining mostly behind the microphone and moving in sync, their textbook old school punk-rock performance set a sturdy base for things to come. 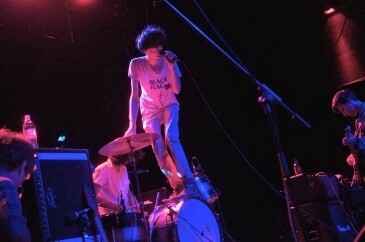 As attendance numbers climbed, so did the overall energy of the venue, aided by Austin, Texas’ OBN III’s. The audience shifted from a standstill to a mosh pit and lead singer, Orville Bateman Neeley III, did not hesitate to partake. 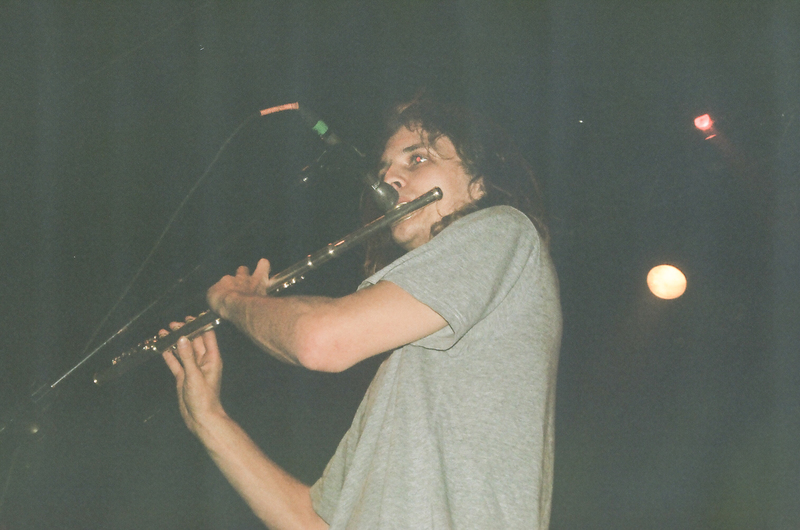 Strutting around the stage while swinging the microphone around, wrapping himself in it and thrusting it with his pelvis further encouraged a state of noncompliant energy. With a voice and wrecking ball attitude analogous to Black Sabbath without the stoner rock, the OBN III’s put another chronological layer of cake on that evening of evolutional-punk rock. Anticipation was high as the hum of the audience increased to a dull roar. 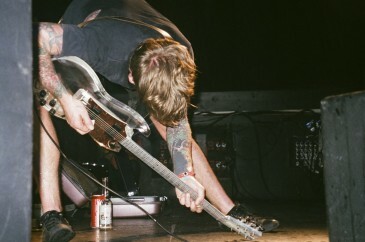 Thee Oh Sees founder and only consistent member over the years, John Dwyer (vocals, guitar), was wearing a black shirt substantially torn under the armpit, theoretically due to holding his guitar Beatles-style, promptly came on stage with band in tow including Brigid Dawson (vocals, keyboards), Lars Finberg (guitar) and Mike Shoun (drums.) With a strong and long history of music fusing in their back pocket, Thee Oh Sees played a dynamic show encompassing a majority of the fast-paced, repetitive drum patterns of punk-rock, but with a serious zest for guitar solos and an appreciation for occasionally slowing it down. 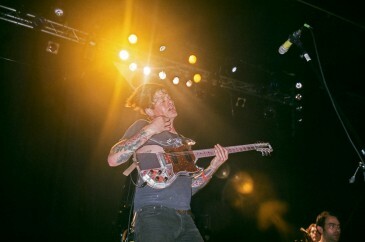 With the inclusion of a female singer and a keyboard/synthesizer, Thee Oh Sees’ musical depth was protracted, especially in their recently released Floating Coffin’s “Tunnel Time.” During this song Dwyer’s performance experience was strongly reinforced by his cool capability to restring and tune his guitar mid-song. Whether onlookers were in the thick of the mosh pit, danced on the spot reciting every lyric, or remained seated bobbing their head, audience receptivity was high and enthusiastic. 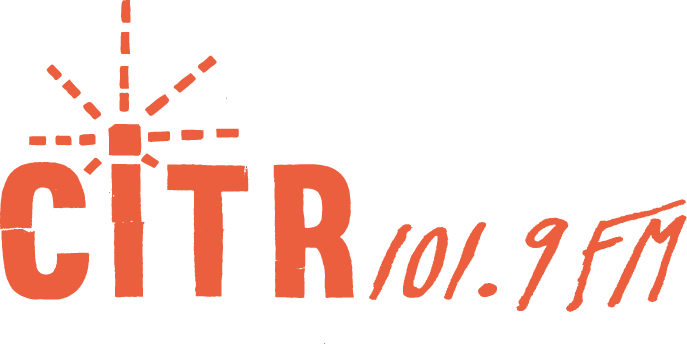 In an effort to bring the heated, wild mood back to earth, they appropriately concluded with “Minotaur,” making us all feel tranquil and at rest with having witnessed a piece-by-piece, contemporary evolution of punk rock.